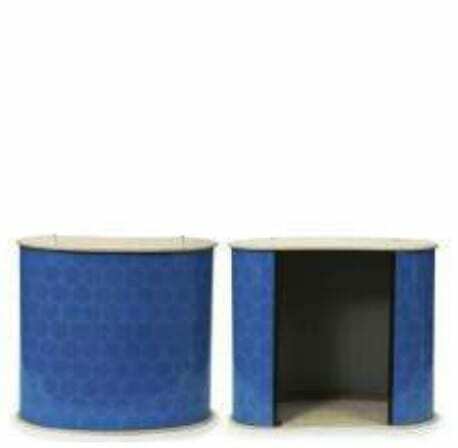 The wood indoor round edges promotion stand is quick and easy to assemble. This promotion stand is an ideal campaign solution to retail promotion and can also serve as information booth or counter and has a shelf for convenient storage. 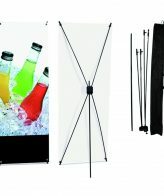 Great for branding, manufactures, sample booths, tradeshows, and retail locations. 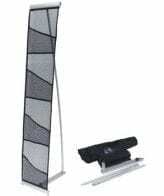 Includes full color imprint on vinyl, hardware, and carrying bag. Imprint ▪ Full Color Imprint, 1 Side 73″Wx32″Hx15″D art area.